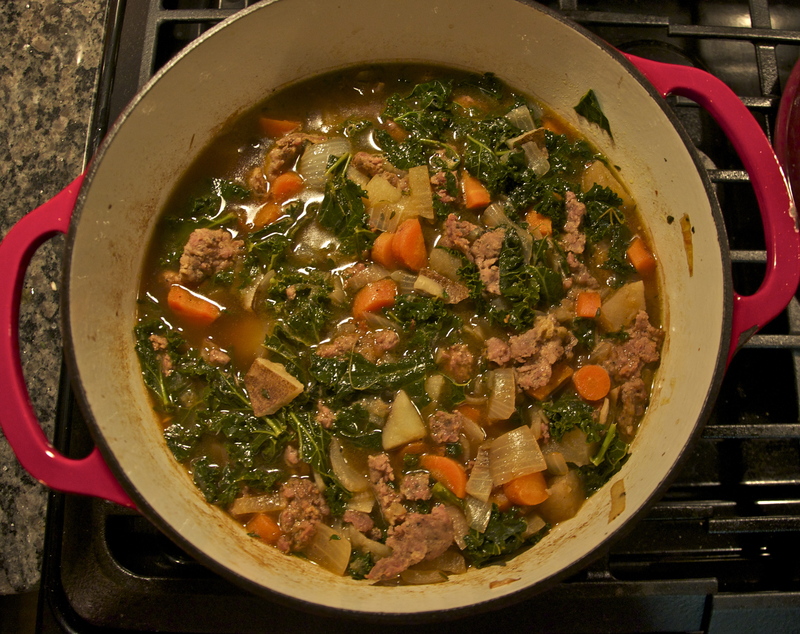 Preheat a medium pot to medium-high heat. Add in ground sausage. Cook until brown and break up into bite size pieces. Remove sausage from pot and set aside. Add carrots, onions, and thyme to the pot. Cook for 10 minutes or until slightly tender. Deglaze the pot with white wine and reduce for five minutes. Add in potatoes, stock (until all veggies are completely submerged), salt and pepper. Stir to combine. Bring mixture to a boil, then reduce to simmer for 20 minutes, or until potatoes are cooked. Serve with bread in a very large bowl! Enter your email address to receive updates and notifications for The Style Pundit.